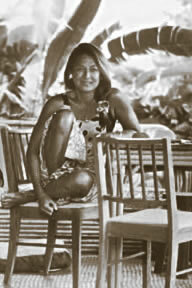 Rell Sunn "1996 Woman of the Year"
Raised on the beaches of Makaha, she fell in love with surfing at age 4. Auntie Rell, as she was best known, exemplified the aloha spirit wherever she went. 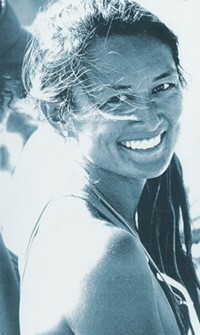 An all around water person, she was a lifeguard, an avid diver, a canoe paddler, helped establish women's professional surfing and was herself a premier surfer. Rell twice finished in the Women's IPS top 3, the top 8 seven times. After battling breast cancer for nearly 15 years, she finally succumbed in 1998. Her memorial service was attended by hundreds of mourners at her beloved Makaha.